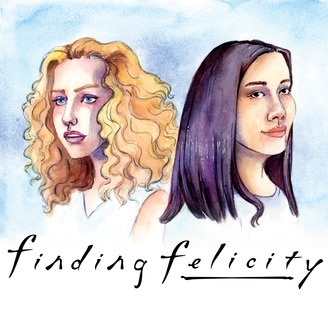 ‘Finding Felicity’ is a podcast where Pomonok Entertainment’s Teresa Jusino, a ‘Felicity’ newbie, chats with rotating guest co-hosts who are already ‘Felicity’ fans to talk about life, love, and the pursuit of happiness through the prism of this coming-of-age television drama created by J.J. Abrams and Matt Reeves. ‘Finding Felicity’ is a member of the Fanbase Press Podcast Network. Finding Felicity is a podcast where Pomonok Entertainment’s Teresa Jusino, a Felicity newbie, chats with rotating guest co-hosts who are already Felicity fans to talk about life, love, and growing up – no matter how old you are – through the lens of this coming-of-age television drama created by J.J. Abrams and Matt Reeves. WE MADE IT TO THE END OF FELICITY SEASON 1! 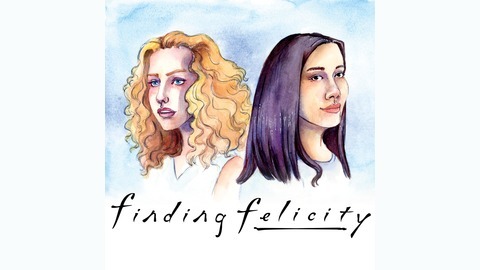 Episode 22 of Finding Felicity is called ‘Felicity Was Here’ (Or, ‘The Season Finale With All the Feels!’), because because Teresa definitely had a lot of feels, both about the final episode of Felicity S1, and about it being the final episode of the first season of her first Pomonok Podcast! Singer/songwriter (and the voice of Finding Felicity) Dayna Webber joins Teresa via Skype from New York City to close out the season. You may remember her as Finding Felicity’s very first guest co-host. This week, they talk about “Felicity Was Here,” Ben’s haircut (why wasn’t THAT national news? Did they SEE how hot he was?? ), why Noel shouldn’t have even been a contender, and general feelings about Felicity’s first year at the University of New York. We also want to THANK YOU for listening and watching along with us! There WILL be a Season 2 that Teresa hopes will be bigger and better than ever! Follow our socials to hear more about it – it will likely be debuting in the Fall. Like a new season of old-school television. Answer any of Season One’s #FelicityPodQ’s throughout our hiatus! We would love to collect your answers as you catch up!